Ty Morris displaying his skills as a chef. Morris is embarking on a new career in Real Estate and invites the community to join him for dinner. The meal is “on the house”, courtesy of Morris, who is renewing old friendships and creating new ones as he begins a career as a real estate agent with Coldwell Banker Lifestyles in New London. Currently living in Sunapee with his wife Samantha and daughter Maybelle (2 ½), he’s focusing his efforts on real estate transactions in Andover, where he grew up. “An essential quality of a successful local business is community service”, says Morris, who pledges to put his clients and community first. The Feb. 23 dinner will be an informal family affair, according to Morris, with guests arriving at any time during the three-hour event. The menu boasts hearty soups and salads, fresh baked bread, roasted meats and winter vegetables, warm drinks and coffee cake. 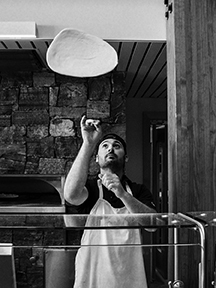 All food items will be prepared by Morris, whose other career is a chef at Proctor Academy. To give Morris an estimate for how many to expect, please contact him at Ty@nullCBLifestylesRE.com or 603-237-2060. If weather conditions cause postponement, families making reservations will be alerted before the event. 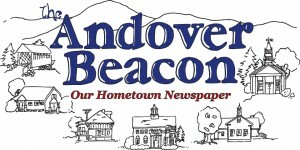 The Andover Community Hub, whose space Morris is borrowing for the event, is located at 157 Main Street in Andover Village. Parking spaces are available in front of the building, which served as Andover’s town hall and school gym from 1879 until the town’s current educational facilities were completed in 1963. Overflow parking will be available in the town post-office parking lot across the street.